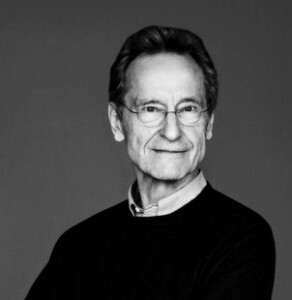 Bernhard Schlink is a German writer and a former professor of public law and the philosophy of law at Berlin’s Humboldt University. He also used to work as a judge at the constitutional court of the federal state of North Rhine-Westphalia and in his writing he continues to look at our conceptions of justice. His books often analyse how we come to terms with the past, in particular with elements of the past where we ourselves or someone we feel close to can be considered to be a guilty party in some past misdemeanour. Other than his international bestseller, Der Vorleser [The Reader] (1995) – adapted by Stephen Daldry into an Oscar-winning film in 2008 – his most acclaimed works include the novels Liebesfluchten [Flights of Love] (2000), Die Heimkehr [The Homecoming] (2006) and Das Wochenende [The Weekend] (2008).